Familiarize participants with the fundamental principles of designing adaptive training systems and demonstrate working examples of adaptive training systems. This tutorial will review fundamental principles for the design of adaptive training systems where guidance and content change in real-time in response to the needs and capabilities of the learner. During this tutorial the participants will learn about the adaptive learning effect chain and the influence of learner data/states on optimal decision making by computer-based adaptive training systems. They will also be exposed to working examples of adaptive training systems such as those authored using the Generalized Intelligent Framework for Tutoring (GIFT, an open source, modular tutoring architecture), AutoTutor, and others. The participant will learn how design choices influence instructional decisions by adaptive training systems and thereby the effectiveness of training experiences. This tutorial is introductory and provides an overview of design concepts for adaptive training systems. This tutorial is intended for engineers and scientists who wish to increase their knowledge about methods to tailor training in real-time to meet the needs and capabilities of the learner. 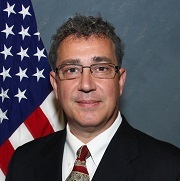 Dr. Robert A. Sottilare serves as the Chief Scientist of the Simulation & Training Technology Center (STTC) within the U.S. Army Research Laboratory. He also leads adaptive training research within ARL’s Learning in Intelligent Tutoring Environments (LITE) Laboratory where the focus of his research is in automated authoring, instructional management, and analysis tools and methods for intelligent tutoring systems. His work is widely published and includes articles in the Cognitive Technology Journal, the Educational Technology Journal, and the Journal for Defense Modeling & Simulation. Dr. Sottilare is a co-creator of the Generalized Intelligent Framework for Tutoring (GIFT), an open-source tutoring architecture, and he is the chief editor for the Design Recommendations for Intelligent Tutoring Systems book series. He is a visiting scientist and lecturer at the United States Military Academy. Dr. Sottilare received his doctorate in Modeling & Simulation from the University of Central Florida with a focus in intelligent systems. In January 2012, he was honored as the inaugural recipient of the U.S. Army Research Development & Engineering Command’s Modeling & Simulation Lifetime Achievement Award. Dr. Anne M. Sinatra is an Adaptive Training Scientist at the Simulation & Training Technology Center (STTC) within the U.S. Army Research Laboratory. 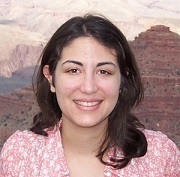 The focus of her research is in cognitive and human factors psychology. She has specific interest in how information relating to the self and about those that one is familiar with can aid in memory, recall, and tutoring. Her dissertation research evaluated the impact of using degraded speech and a familiar story on attention/recall in a dichotic listening task. Her work has been published in the Journal of Interaction Studies, and in the conference proceedings of the Human Factors and Ergonomics Society. Prior to becoming an ARL Scientist, Dr. Sinatra was an ARL Post Doctoral Fellow and Graduate Research Associate with UCF’s Applied Cognition and Technology (ACAT) Lab, and taught a variety of undergraduate Psychology courses. Dr. Sinatra received her Ph.D. and M.A. in Applied Experimental and Human Factors Psychology, as well as her B.S. in Psychology from the University of Central Florida. Dr. Sottilare's and Dr. Sinatra's research and publications can be found at www.GIFTtutoring.org and individually at ResearchGate.